Valentine’s Day can either test your stress limits or it can be an unforgettable night. Finding a perfect venue is a frustrating task in itself, and so is finding a gift that seals the night, but don’t worry you’re already on the right path to a memorable night. 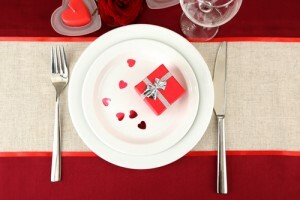 Luckily you have stumbled into a hidden treasure, and the following 3 tips will help make this Valentines Day memorable. Tell a story with a gift. A gift that recalls a memory is a great gift in itself, but a gift that tells a story is priceless. As we mentioned earlier it is all about creativity, and a great item that can easily tell a story helps with the creative process. Innovative minds can easily conceive stories from many items without trouble, but to help you get started will start with some ideas and tips. This will help get your creative thinking up to speed with ours. Make it one for the books with a message, a picture is worth a thousand words, and without a message of guidance it can be interpreted into many things. These following personalized Valentines day gifts ideas will help make sense of what we are trying to convey. Will get back to the packaging on this gift in the next tip, but for this gift you’ll only have 4 photos to get your message across, so it’s going to be important that’s it short and direct. 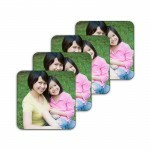 You can slip in an extra message with a note covering this personalized coaster set, so you can have a total of 5 messages instead of 4. Captivate their attention with a quote that will remind them of the memory, it can be something witty and fun, or something romantic. A coaster can be used to compliment other gifts it can be a message in itself that leads to a great dinner on the patio or balcony. Creativity and innovation is what makes moments like these unforgettable. A personalized stationary box can personalized with a name or quote to help him/her remember that special event. It can be engraved with “Remember our first date?”. A stationary box like this can be filled with items from that year, or with keepsake pictures that made everyday more special than the one before. The packaging counts too! Yes, the packaging is important as the gift itself, after all your goal is to make this Valentines Day a memorable one. If you know that you will have a hard time picking colors go with traditional Valentines Day colors such as Purple, red, pink, maroon, white and/or cream. Personalized Valentines day gifts should not stop at an engraving or customization, but it should also include a personal touch on the gift wrapping. It is about going beyond the normal expectations, and a truly personalized gift is unique in every way — think one of a kind. Wrapping a gift is not as difficult as one may think, it only takes a few folds the real tricky part is tying the ribbon. It’s already hard enough tying a ribbon, and having to pick between styles is another troublesome task, so what style does one pick for a Valentines day present? Easy, a heart of course, and it’s easier than you think! You begin like you would with any bow tie. A simple cross-diagonal to secure the bow to the present, and to make the process simpler we use a stapler. Why do we use a stapler? It makes tying the ribbon on the gift easy, and unwrapping the gift easier, just pull hard and watch it unwrap. A simple design like a heart allows the staples to snap-off easily when pulled apart. Bookmark our blog, and come back next week to view our video tutorial on how to tie a heart shaped ribbon on a gift. Thanks for the new concepts for valentine gifting. All are unique and are capable to express the feeling in decent style. I am going to try Tell a story with a gift concept this time. Many of these ideas are not only for valentine day, these are for anytime.